Acquiring a gun safe is very important for you, people around you and also your weapon. You’d want to keep your gun safe from misuse and also from being damaged by different elements including fire and water. In addition, you’d want to keep your gun from the wrong hands, a people who can use it to injure, kill others or commit crime using the same. Basically, gun safes are constructed using steel sheets. However, different brands come with thicker steel than the others and this determines the quality of your purchase. 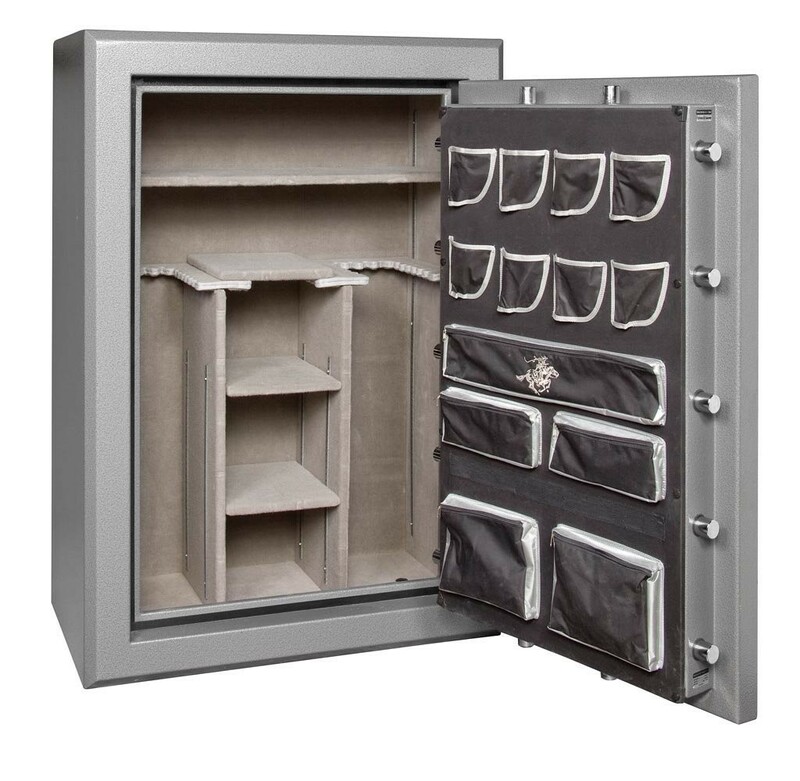 The best fireproof gun safes are constructed using thick and heavier steel sheet which is capable of withstanding extremely high temperature for about one or two hours. Always consider the fire-resistant ratings and pick a home gun safe that is capable of withstanding at least 1,100° F.
After you have determined the fire rating, the next thing you should look at is the size of the gun safe. The best gun safe should be spacious enough to accommodate a few guns and you should avoid the temptation of buying one that is too small. You do not want a safe that can easily be grabbed and taken away meaning you should avoid one that is too small. When buying a safe, consider space that can accommodate the gun, ammunition and other accessories as well. A fireproof gun safe can also be designed for a specific gun type and this could work well for you. Always get a safe with some shelves and different compartments. The kind of locks you want will also be important to consider when buying a gun safe. The kind you pick will be determined by the level of security you want and this is where gun safe reviews become a bit helpful. Your locks should be reliable and hard to break by burglars or any other person who might be mischievous. On the other hand, the locks should allow for easier access and convenience on your part. Digital locks range from mechanical to digital to fingerprint to biometric recognition. Each of these has its own pros and cons and you should understand this before making your purchase. If you choose mechanism locks, look for one with anti-tamper system to prevent against blockage in case incorrect passwords are entered for a number of times. You should also check gun safe reviews to determine other factors such as waterproof and burglar rating. Always look for a safe whose locks are not easily breakable using the common locksmith tools but will give anyone a challenge to open.